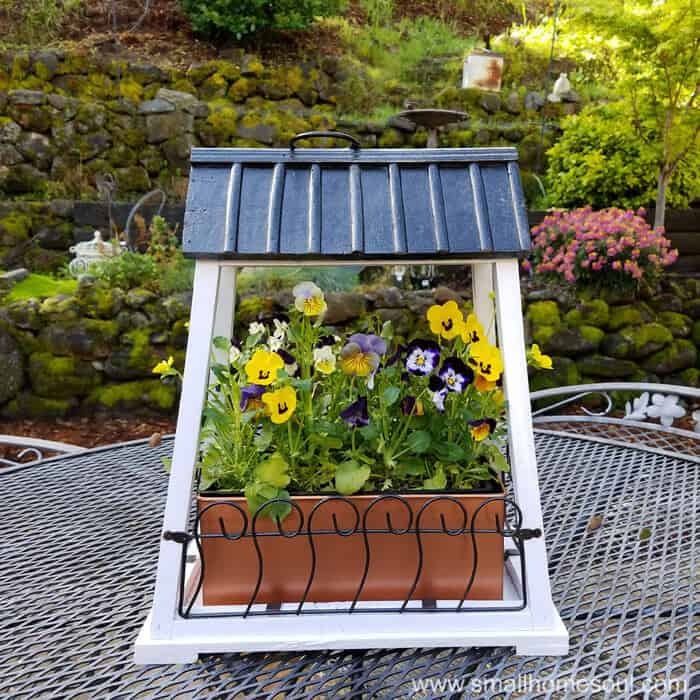 New Life for a Hanging Flower Pot - Girl, Just DIY! 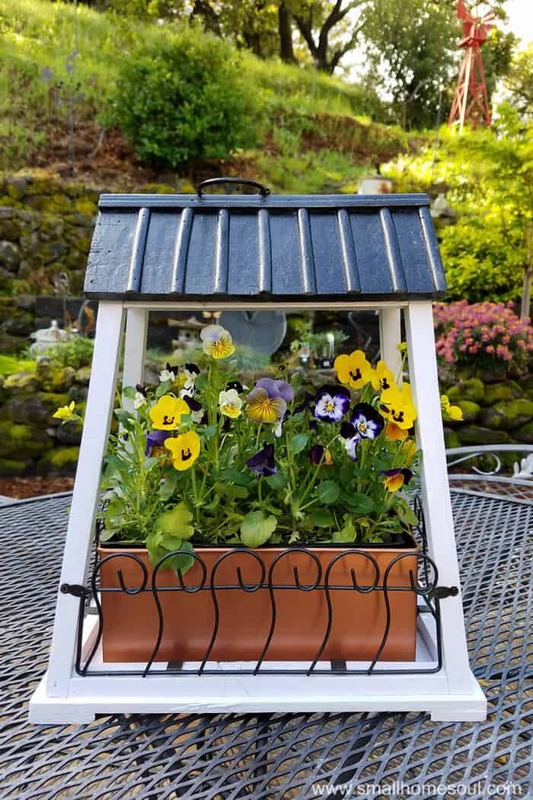 Give new life to a neglected and weather-beaten hanging flower pot. Just a little paint and some fresh flowers will bring it back to life. How many times have you almost passed up an item at a yard sale or thrift store because it was so sad? That’s what happened when I was at a yard sale up the street from my house. The top on the hanging flower pot was crusty because the paint was flaking off. Maybe this was intended for indoors? Who knows but I’m glad I didn’t leave it there for someone else to discover. 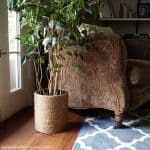 Today I’m participating in the monthly Thrift Store Decor Challenge with many other bloggers. 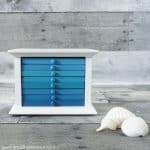 We love to find stuff on the cheap at thrift stores, yard sales, our own garages, etc. and show you how we give them new life. 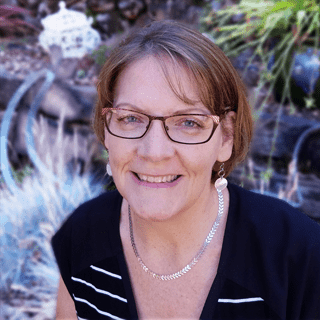 You will find links to all their projects at the end of this post. 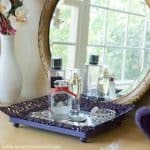 I love easy projects with paint, like when I showed you how to update a bathroom light or glam up your soap dispenser. This is the same, I knew I could make this hanging flower pot look good as new with just a bit of paint. Having everything on hand I estimate the cost of this entire project to be less than $5. 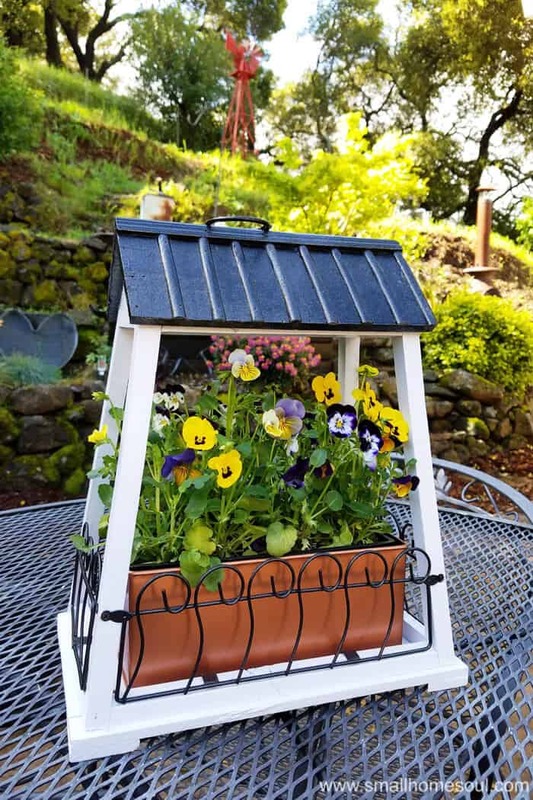 I bought the flower pot with a bunch of other things for $20 so the little bit of paint I used from the cans I already had makes this a very reasonable project. This post contains affiliate links for your convenience. If you purchase an item after clicking on a link I might make a small a commission, at no extra cost to you. Using the tiny screw driver I removed the scrolled rails so I could paint them. Then I got busy giving the flower pot a good scrubbing with water and a little bit of soap and then let it dry. Once it was dry any paint flecks that were left I used a sanding sponge to smooth out the paint. 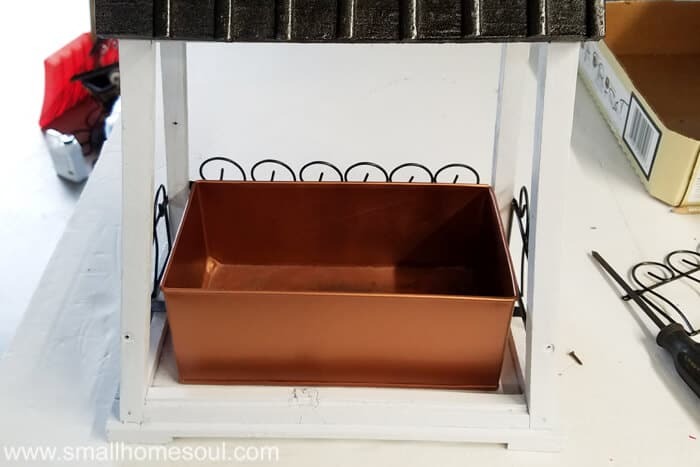 The square pot that came with the hanging flower pot is metal so that was a great candidate for a new look with copper spray paint. I set that in the spray tent and gave it several coats inside and out. While the top and pot were drying it was time to get busy on the lovely scrolled rails. Those got a coat of the same black spray paint I used on the roof. I love the purple (my favorite color) variegated with the bright yellow centers. They are all so pretty and the contrast of the colorful flowers to the copper is so beautiful. 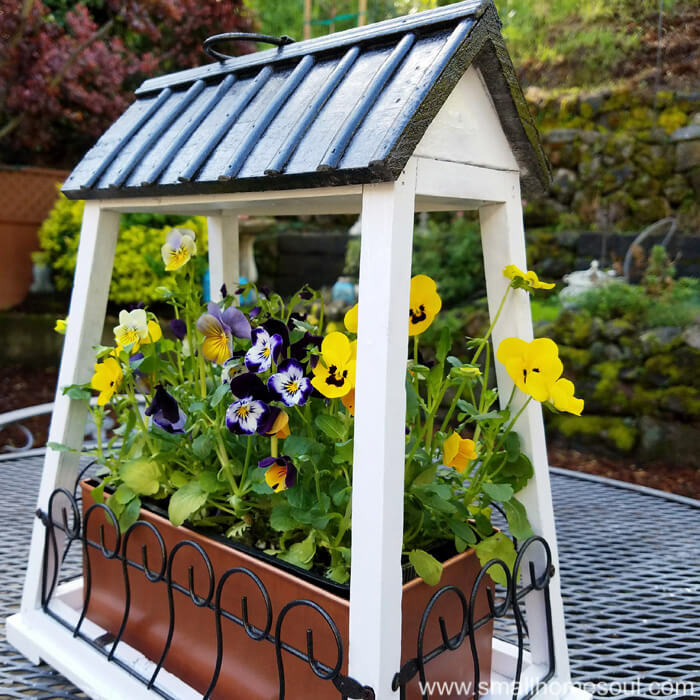 I actually did this little hanging flower pot makeover in the early Spring. You can see from the green hills in this picture we finally got a lot of rain (drought over, yay). The variegated flowers look kind of link a tie dye design. I need to plant more of these flowers around my yard. Don’t forget to visit all my friends’ posts below to see what kind of Thrift Store inspiration they’re sharing with you this month. I LOVE it!!! 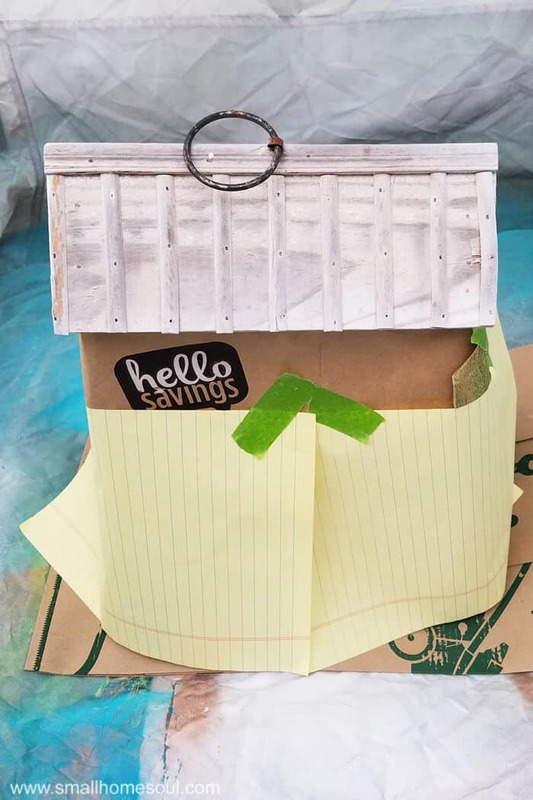 What a great upcycle and it is adorable. It looks so fabulous now and I love all your lovely choices and touches! Congrats and enjoy it in your garden! Oh thank you Janine, I think the copper really sets it off so well. What a totally charming piece! I’m so glad you like it Kim! 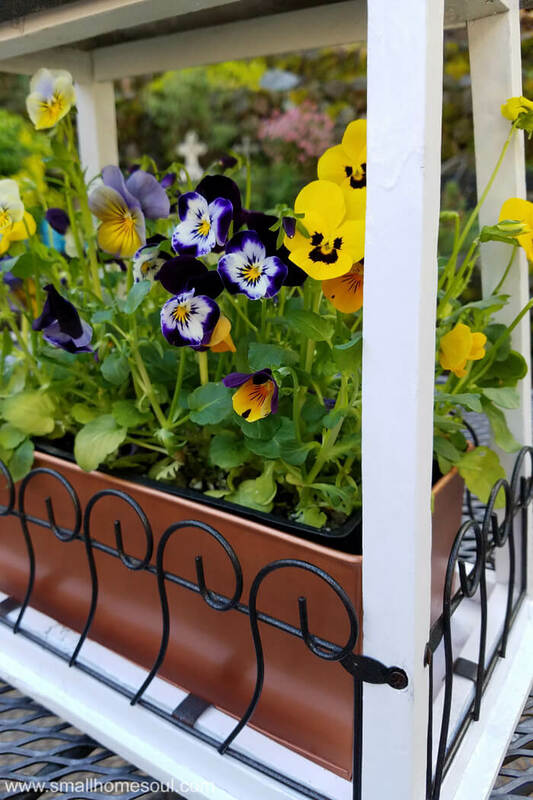 Love your new planter!! So glad you were able to see its potential! Your violas look super happy in there too! Gorgeous!! This turned out great Toni. I love it! Thanks Carolann, I need to find a place to hang it. Maybe on my front porch next spring. This is so well done. Its pretty and cheerful and unique and fresh. Pinning. This looks amazing! I would have never guessed it started out like it did! Great job! Thank you Anika, I love easy updates like this one. So many options with paint. 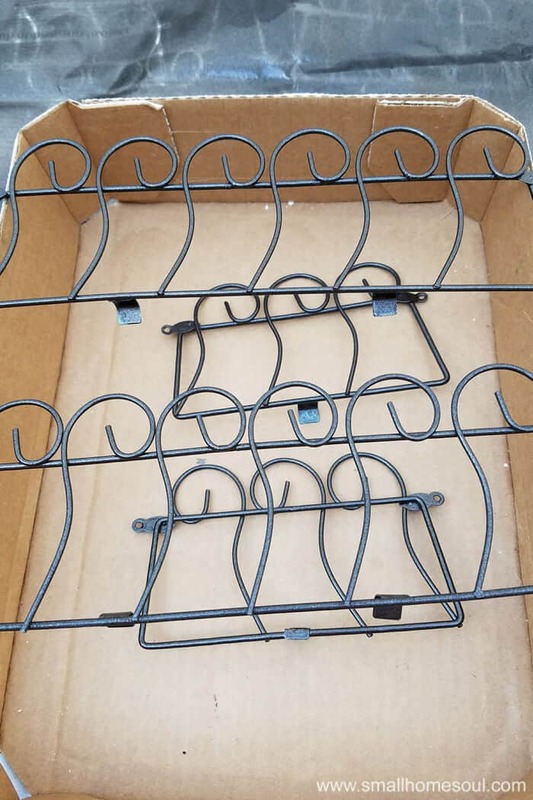 I’m so glad you saved this from the junk pile! your makeover is so pretty! what a sweet hanger it is now! This came out so nice. I am glad you didn’t leave it at the garage sale. I would have snatched it up in a heart beat. I love the black roof and the new planter color too. Such a pretty piece now. I’m considering giving it a galvanized roof for next summer as I fear the wood top won’t hold up well for much longer. This really turned out great! Paint is indeed a miracle worker, and a miracle was truly worked! 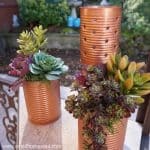 Love the copper pot paint job! 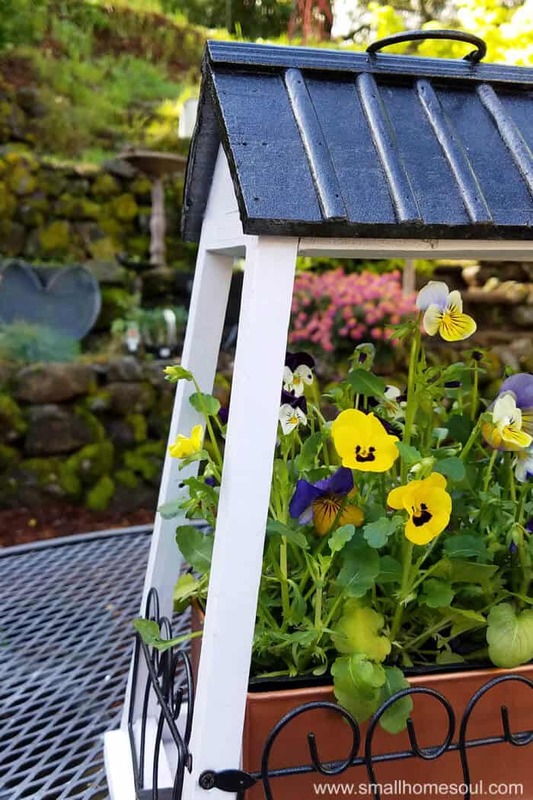 Love the little house…the violas are so pretty in it. Your neighbor wouldn’t recognize it now. Thank you Florence! It had no life in it before so the new paint job really makes it pop. You did a fabulous job. I love the copper against the black and white. It is a good thing you didn’t pass it by. I’m so glad I decided to pick it up. It turned out lovely and the copper matches some of the other little accents I have on the patio. This is such a great find! 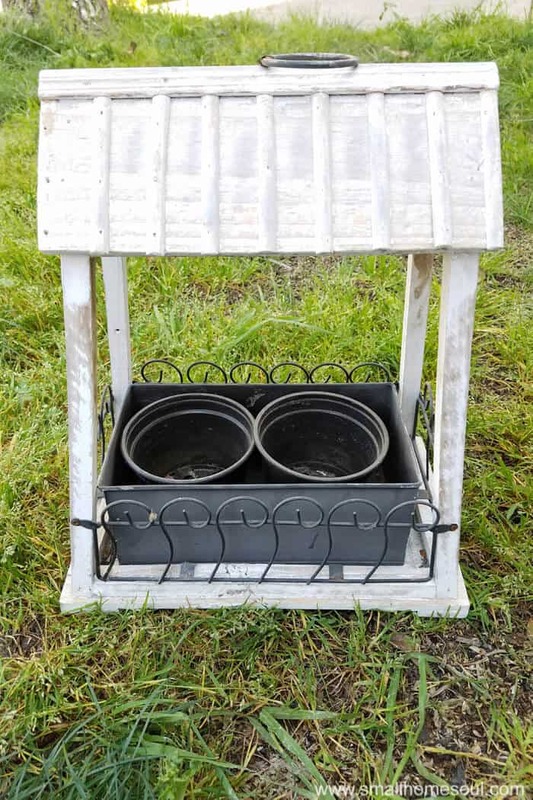 I adore this flower pot and it kind of reminds me of an old fashioned fruit stand. Love it. I love how you brought that back to life! It looks brand new, great job! Love the copper. You e certainly freshened it up. Thanks Claire, the black pot was lost against the black rails. This turned out great! It looks like you got it from one of those fancy garden shops. Great job!!! Wow it looks brand new! Great job! I love the violas, it makes it pop! 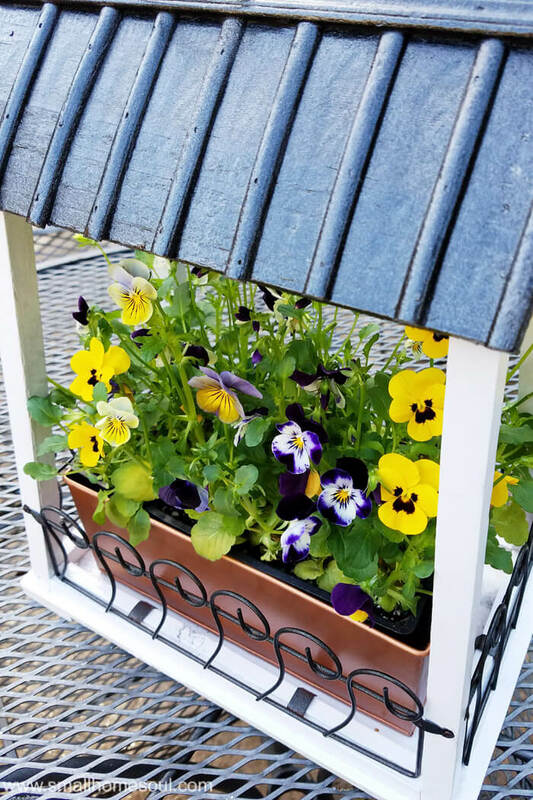 Thanks Kim, yes violas are some of my favorites but I don’t plant them nearly enough.